Born and raised in Hollywood, CA and graduate of the University Of Santa Clara, Patrick began working in television in 1982. Working in film as well as video, Stewart shot many music videos one, which won Best Directed Music Video from the Chicago International Film Festival in 1984. Following that he shot a documentary “D.U.I.” which premiered at the Milan Film festival in 1985. The decade of the 2000s saw Patrick Stewart work directly with three Oscar winning Directors. In 2000, he was the Director of Photography for Mike Figgis’ groundbreaking film “Timecode.” Pairing again the next year with Figgis, he shot another envelope pushing film, “Hotel,” in Venice, Italy. Finally, Stewart worked with Clint Eastwood and his company Malpaso to shoot the documentaries: “Dave Brubeck: In His Own Sweet way”, and “Johnny Mercer: The Dream’s On Me”. In addition, for 18 years Stewart has run his own production company, Patrick Stewart Productions, which has produced hundreds of segments for television programs including specials, commercials, documentaries and webcasts. 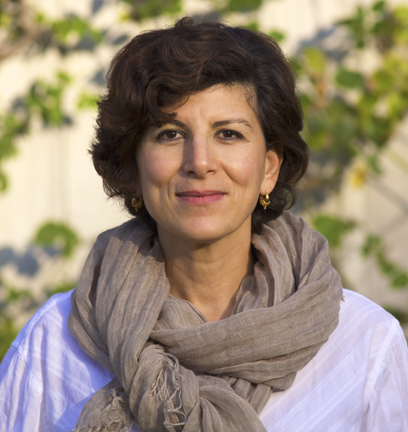 Gina Angelone is an established filmmaker with a history in documentary and television production. Gina has collaborated with many well-known artists and performers, and her television work has received both a Cable Ace award and an Emmy nomination. Gina’s television credits include Producer of Bravo’s weekly series “Inside the Actors Studio”; writer/creator of an internationally distributed pilot series for Comedy Central entitled “Music Shorts” and Writer/Producer/Director of an hour-long feature documentary called “Connections: Preserving America's Landscape Legacy” (narrated by Angela Lansbury), which aired on PBS stations across America. In 2005, Gina created a feature documentary entitled “René & I” about twin survivors of human experimentation in Auschwitz. The film, which aired on NBC, has won two Audience Awards, a Human Rights Award and a Special Jury Mention in international festivals, and continues to be broadcast worldwide. Currently, Gina is shooting an on-going biography series on master landscape designers, and her film, “Geo Portrait Earth,” is part of a travelling exhibit LandSeaAir, a 400-year sonic history of earth (with Charles Morrow Associates). In exhibition formats, Gina created the centerpiece film for the Hall of Planet Earth at the American Museum of Natural History in New York; a series of attraction videos for an interactive installation at Universal Studios/Disney World for Kodak Imagination Works; a traveling exhibit film on Indonesia for the Smithsonian Institute. In theater, Gina was the Associate Producer of “Raffi on Broadway,” a live musical event at the Gershwin Theatre in New York City produced by legendary music producer Phil Ramone for the Disney Channel and MCA Home Video. Gina produced and directed two more star-studded musical tributes with Mr. Ramone and her work has also led her to conduct dozens of celebrity interviews that have aired on E! and Access Hollywood. Gina is also the author of numerous works of original fiction. Her writing has been featured by the Literary Guild of America and received a rave review from PUBLISHERS WEEKLY, as well garnering various literary awards. Most recently, Gina wrote 8 episodes for Maker Studios’ original web comedy series “Si, es I, Pepe!” Gina has scripted, directed and produced for web, TV, and film. After years of residing in New York City, Europe, Asia and South America, Gina is now residing in Southern California. She is fluent in English, French, Spanish and Italian. Mouna is an artist whose first foray into filmmaking was with “It’s Better To Jump.” Mouna had a central role in the project. A Palestinian herself, she is fluent in both Arabic and English and served not only as a translator and interviewer, but also as a Producer, gaining access and entrée to people and places that would otherwise be inaccessible. Her collateral as a native and her insights into the culture created an instant bond of trust with all the interviewees. Mouna is very dedicated to the subject matter as well as a steadfast researcher. Alejandro was a veteran of the stage and television back in his native México. During his 13 year tenure in New York he followed his musical passion and was able to perform 8 full operas as the lead lyric tenor. Now in Los Angeles, as a director/producer he has worked with clients like NBC/Telemundo, Univision, Funny or Die and MAKER Studios, where he directed and produced over 50 original programs as their Executive Producer for Bilingual Programming. As an editor Alejandro just completed a documentary about the architectural legacy of the Jewish landscape architect Shlomo Aronson and will be working on the architectural legacy of Japanese landscape architect Joe Yamada as his immediate next project. Alejandro is always looking for interesting stories and projects to direct/produce or help turn into a reality.